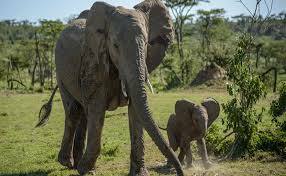 Kenya offers some of the best wildlife safari experiences in Africa. Travel to the Masai Mara, a 1,510 sq km (580 sq miles) National Reserve with over 95 species of mammals and 570 recorded species of birds, to discover lions, zebras, elephants, cheetahs, and the great migration of wildebeest. Meet the Masai people, witness wildlife conservation, and take part in community development just by booking your trip with Travel On The Good. Our first featured Travel on the Good trips will take you to the amazing, and very private Naboisho Conservancy and Bwindi Impenetrable Forest. Both reserves are world-renowned for their beauty and wildlife. Encounter Mara is a classic tented eco-camp set on the banks of the Olmorjoi river in the exclusive Mara Naboisho Conservancy, part of Kenya’s most famous Masai Mara, and home to the famous wildebeest and zebra migration. Tucked away in a stunning, private valley amidst the untouched wilderness of the conservancy, Encounter Mara is a unique, eco-friendly, classic safari camp that offers authentic wildlife and cultural encounters like none other. Read the wonderful things visitors have to say about Encounter Mara on TripAdvisor reviews. Encounter Mara is a safari experience that is never rushed or superficial. The rhythm of each day should allow our guests to truly encounter the culture and wildlife of the Masai Mara in a unique and genuine way. Encounter Mara offers an authentic guest experience that embraces great respect for the Masaai people’s culture and a passion for the conservation of the incredible wildlife surrounding the camp. Each tent includes a large veranda, outdoor lounge bed and hammocks. Enjoy delicious and healthy meals outside and relax with a cold drink on a hot afternoon in the lounge tent. Take part in day and night game-drives, guided bush walks, guided star-gazing, Masaai village visits, and visits to the Koyiaki Guiding School. The Bwindi Impenetrable Forest is where you have the best chance of spotting a mountain gorilla family going about their business. Once you have your permit you are led across the rugged terrain and through the awe inspiring jungle to where the gorillas were seen yesterday and then you track them down. Aside from the amazing gorilla interactions there are numerous forest walks and 346 species of birds to spot, many of which are amazingly colored. Gorilla Forest Camp is a permanent luxury tented camp nestled in the mist-swathed rain forests of a mountainside in the heart of of Bwindi Impenetrable National Park. The exclusive location – the sole property within the park’s boundaries – afford Gorilla Forest Camp the status of being the ideal base for gorilla tracking, primate viewing and birding excursions in the park. Gorilla Forest Camp has been designed to blend seamlessly into this most atmospheric of environments, carefully appointed towards the misty valleys and looming, forest-clad mountains that protect this fragile eco-system. Accommodation is is one of the 8 double tents, raised on wooden platforms, each with facilities, hot and cold running water, and a bathtub looking out onto the forest. Each tent as a spacious veranda where guests can relax, enjoy a private meal and absorb the exotic mystery of the surrounding rain forest. The Camp offers a bar and dining cottage overlooking the rain forest as well as a raised natural platform for open air dining. At night, a traditional African campfire is lit where a lecture might be given by a visiting primatologist, the gorilla briefings are undertaken, or visitors simply relax and enjoy the brilliance of Bwindi’s crystal clear mountain sky. Encounter Mara – flight from Wilson Airport to Naboisho, transfers to and from airstrip and drop off/pick up point, accommodation, meals, drinks (alcohol and non-alcohol), day/night game drives, bush walks, laundry service, all conservancy fees and one entry into the National Reserve in High Season only. Sanctuary Gorilla Forest Camp – rates are inclusive of meals, laundry service, beverages, and community walk. Encounter Mara – Champagne and imported beverages, optional activities (e.g. balloon safari), village visits, travel insurance, items of personal nature, gratuities, per person entrance fees to Masai Mara National Reserve for optional visits. Sanctuary Gorilla Forest Camp – Flights from Kenya to Entebbe, Kampala, Guide, use of vehicle per day, gorilla trekking permits, park fees (these fees are only available at time of reservation). By visiting Kenya and Uganda with Travel On The Good, your trip directly benefits the Naboisho Conservancy, a 50,000 acre private conservancy in Kenya. 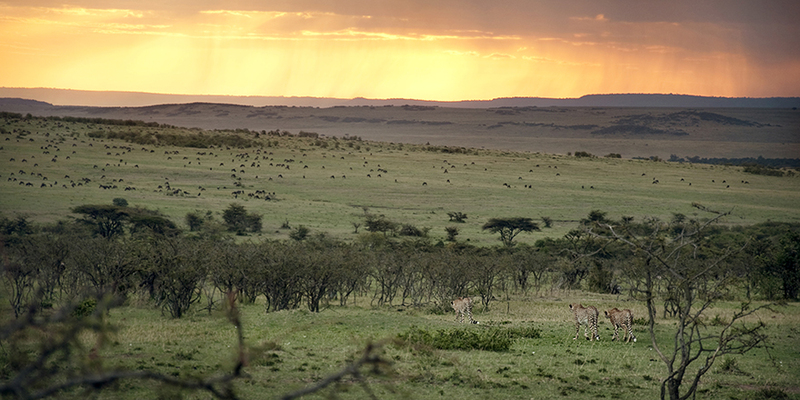 The conservancy is made up of land contributions from 500 Maasai landowners. Naboisho conservancy fees provide the Maasai community with a sustainable livelihood and ensure the conservation of the wildlife in this vital corridor of the Masai Mara eco-system. Travel On The Good – Going. Going. Great. Traveling in Africa is expensive. Going on safari is really expensive. A medium-priced camp is $200 to $300 a day and expensive camps can easily charge $500 or $1,000. Per person. Per day. Traveling at that level of expense adds up fast. Just imagine what it is for a family of four for a week or for two couples. It’s a lot of money. There’s a reason for that, of course. 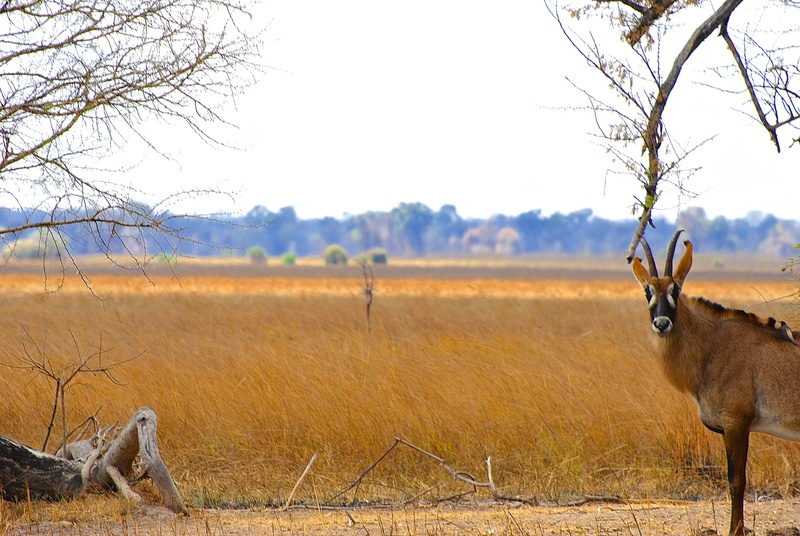 It’s very expensive to operate even a small camp in say, the Busanga Plains in Zambia, where this picture was taken. The camp is more than a ten hour drive from the nearest outpost. It’s under water for a good part of the year and yet, the operators have to host tourists from around the world who are looking for a first-rate safari experience. However, we also know something else about Africa. There are a lot of amazing groups doing amazing work on the ground there. People like Happy Africa Foundation who are doing everything from buying toothbrushes to protecting wildlife to building schools. Or there is the group that created the Naboisho Conservancy – extending the reach of the Mara National Park in Kenya by a critical 55,000 acres by working with and allowing the Masai who have lived there for centuries to stay in their villages. These groups are trying to raise even just a few thousand dollars for critical projects, like providing a basic school to young children or even supplies to people when natural disaster strikes. Surely there must be a way that some of that money that was arriving with the tourists could be channeled to the groups that are trying to help and preserve exactly what the tourists were paying all that money to see? It took us a bit but we figured it out and there are three really important parts of it. 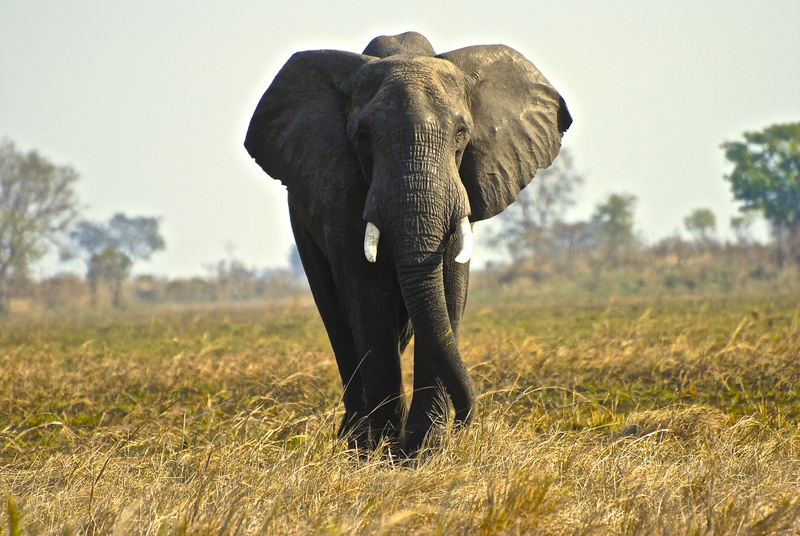 We know Africa and we can send you on the best possible trip – whether you want to spend a little or a lot. From basic trips to remarkable customized journeys, we will make sure that your experience is even better than you imagined. Well, our trips are planned and executed not by a travel agent here but by our team in Cape Town, South Africa who know the continent inside and out. Second, you’re not going to pay a penny more by traveling with us. Three, every single night you spend in Africa, part of the money that you are spending will end with groups working in the area you are visiting. So if you want to go see the annual migration in the Mara National Park, you can stay at the wonderful Encounter Mara camp, and you’ll pay the same amount you would no matter who you booked it with, but a portion of the proceeds will benefit the Naboisho Conservancy and right now, their need to increase the number of rangers that are out on anti-poaching patrols. If you’re thinking to yourself, wait, if it’s the same camps and the same prices and the same safaris, well, then why wouldn’t I travel on the good so that I know that more money is staying in Africa? That’s exactly our point. We’ll be posting some travel specials starting next week. Right now we are also offering people the chance to plan their own trip, just email us at james@travelonthegood.com if you are interested in learning more. Because if you’re going to go, why wouldn’t you go on the good? Is this the first post? Yep.